Two groups of “shadow” election observers that rubber-stamped the 2013 general election amid widespread complaints of fraud lauded Sunday’s commune elections as “fair” and “safe” after visiting a handful of Phnom Penh polling stations each—and hours before unofficial vote counts began appearing online. A delegation of fewer than 15 observers from the International Conference of Asian Political Parties (ICAPP) visited about 25 of the country’s 22,148 polling stations, while nine delegates from the Centrist Asia Pacific Democrats International (CAPDI) visited five, officials from each organization said. “The CAPDI delegation…would like to congratulate the Cambodian people, the NEC [National Election Committee] and the nearly 8 million registered voters and relevant agencies for successfully conducting a free, fair, secret and credible commune council election,” said Yosril Ananta Baharuddin, deputy secretary-general of CAPDI, during a news conference at about 5:45 p.m. on Sunday—about three hours before local media began to publish unofficial results. Nearly 30 minutes later, in the same conference room at Sofitel Hotel in Phnom Penh, ICAPP echoed the endorsement. Speaking on the sidelines of the two events, NEC spokesman Hang Puthea said it was “too early” to properly assess the fairness of the election, despite noting improvement compared to past elections. 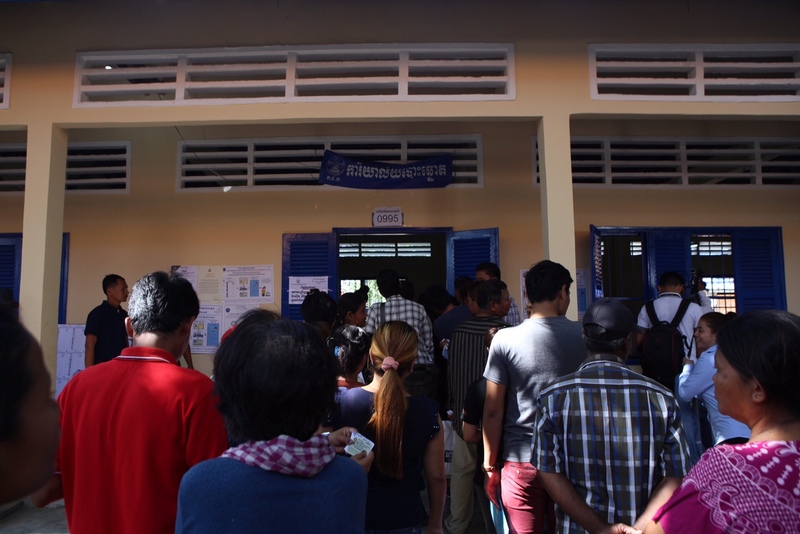 And local independent monitors such as the Committee for Free and Fair Elections and Transparency International Cambodia—which together had about 15,000 observers—delayed endorsing the entirety of the elections, instead releasing initial reports on activities at polling stations during voting hours. But officials from both ICAPP and CAPDI dismissed concerns about whether the organizations could adequately assess the elections by visiting a small number of communes and the importance of waiting for an official vote count released by the NEC—or any count at all—to make a credible assessment. “We only went to five places because of time limitations,” Mr. Baharuddin of CAPDI said, adding that there was no concern that these locations did not reflect the other 22,143 nationwide. Both organizations are closely linked to leading ruling party officials, with Deputy Prime Minister Hor Namhong serving as ICAPP vice chairman and the premier as an honorary chairman of CAPDI. Late Deputy Prime Minister Sok An, who died in March, previously served as vice chairman of ICAPP’s standing committee. An official from ICAPP said on Thursday that the organization had been personally invited to oversee this year’s local elections by Mr. Hun Sen. But Mr. Jolly denied that CPP involvement in his organization affected their assessment’s credibility or impartiality. “We are not rubber stamps,” he said.